BISim will work under the VR In-Land Training (VRLT) Pilot Program, a British Army CTTP initiative charged with exploring the use of VR for collective land warfare training and identifying the potential benefits and effectiveness of VR for military training and simulation. The VRLT program will help make recommendations on the impact, affordability, innovation, and exploitation of VR for U.K. defense training. 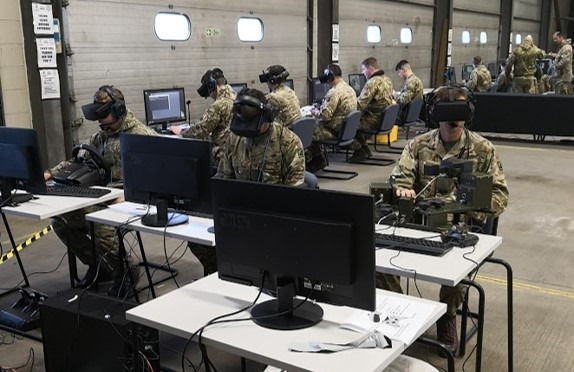 BISim will help deliver a series of training events for the pilot program demonstrating VR and mixed reality capabilities using BISim products. The training events will use VBS3, BISim’s flagship desktop training software, VBS Blue IG, the company’s high-performance whole-earth image generation software, and VBS STE, a prototype whole-earth desktop trainer that combines the power of the VBS3 simulation engine with high-fidelity VBS Blue IG visuals. BISim has subcontracted Cervus Defence and Security Ltd, a U.K. company with expertise in capturing and leveraging defense training data, to illustrate the potential benefits of data capture and machine learning-driven analytics for military training. BISim will also demonstrate innovative technology to show how the cloud can be used and how BISim products and Army training systems can work from the cloud. Cervus Defence’s HIVE Insight Engine will be configured to receive collective training data from VBS3, VBS Blue IG, and VBS STE. HIVE is a COTS Training Measurement and Evaluation (TM&E) service that harvests and categorizes a large variety of individual and collective training data, processing this information and analyzing it before delivering insights using machine learning and visual reporting tools.